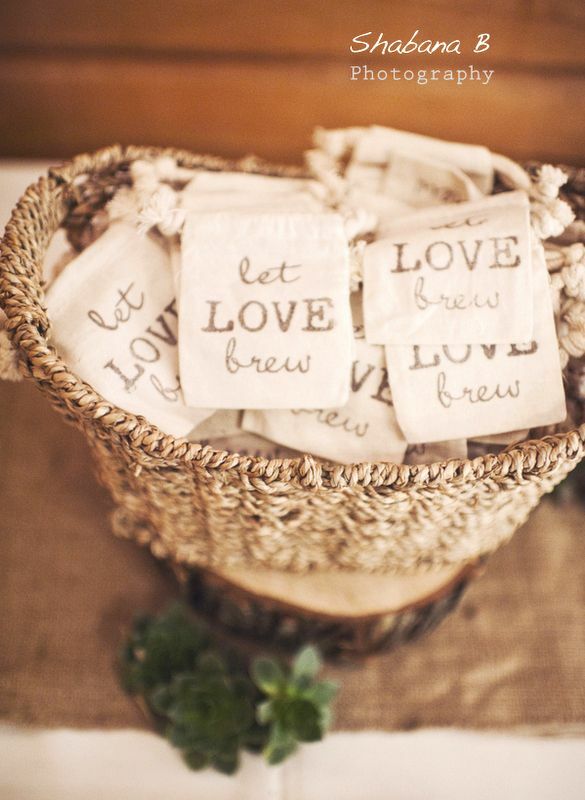 Sit back and relax knowing that your favourite people will all have something to brew the morning after your wedding. 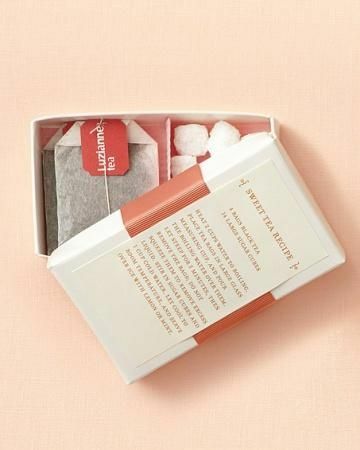 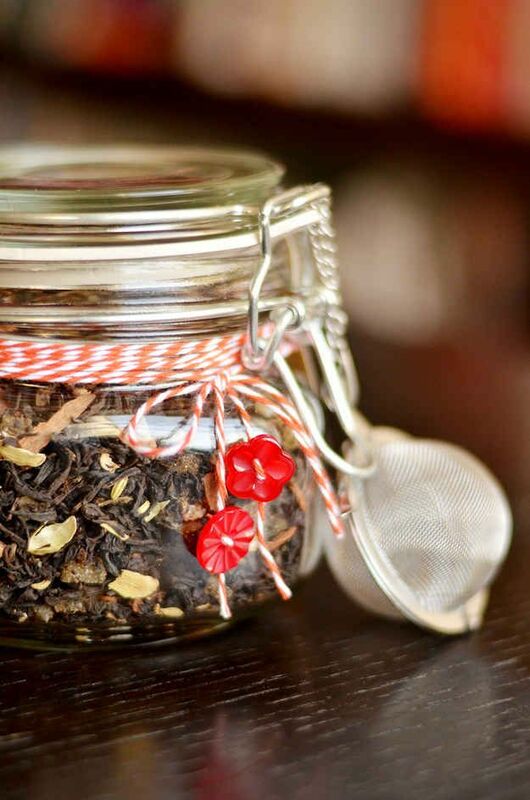 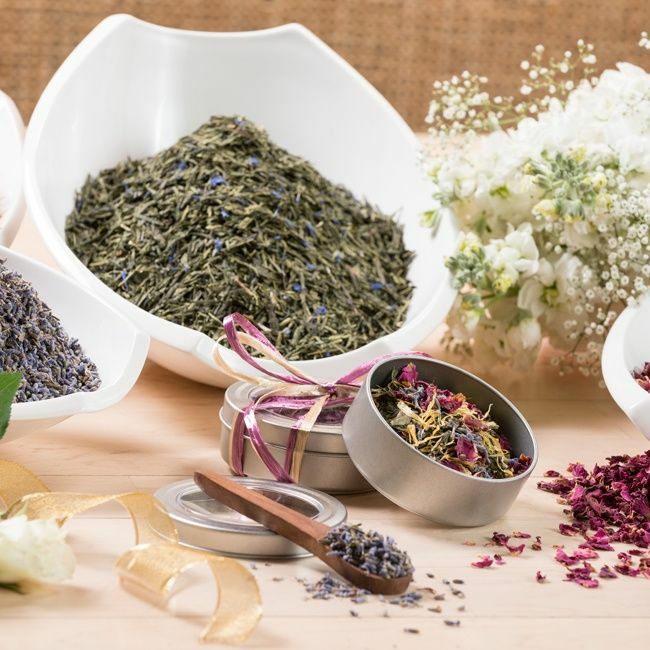 With hundreds of tea flavours to choose from you'll have no problems finding a blend that fits nicely with your theme, smells amazing, and is suitable to all taste buds. 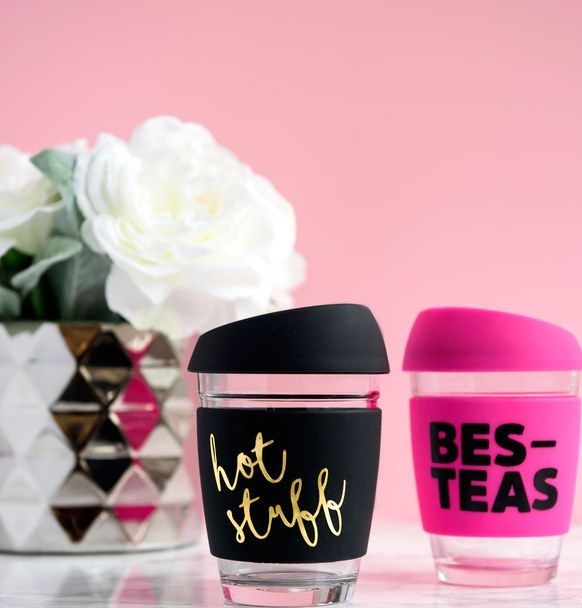 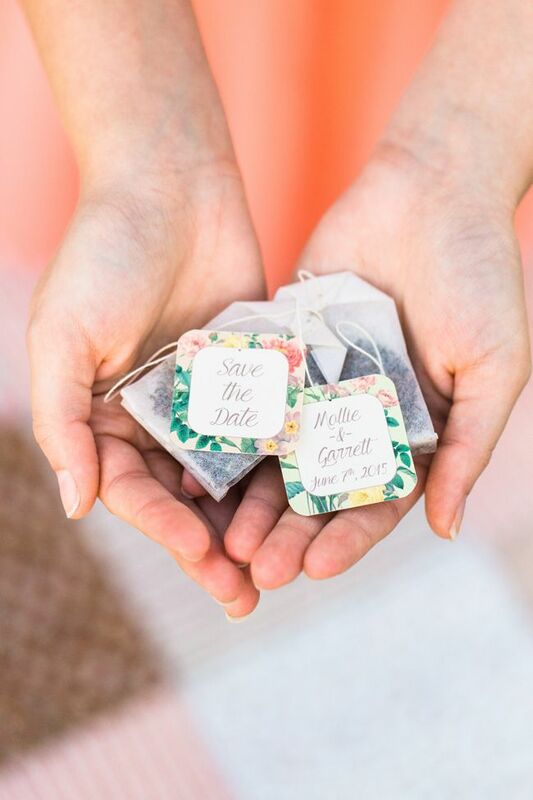 Whether you pick a romantic rose bud, a traditional china blend or chilled out relaxation tea, you will give your guests a gorgeous sensory gift that tells a story and sets a mood during and after the wedding. 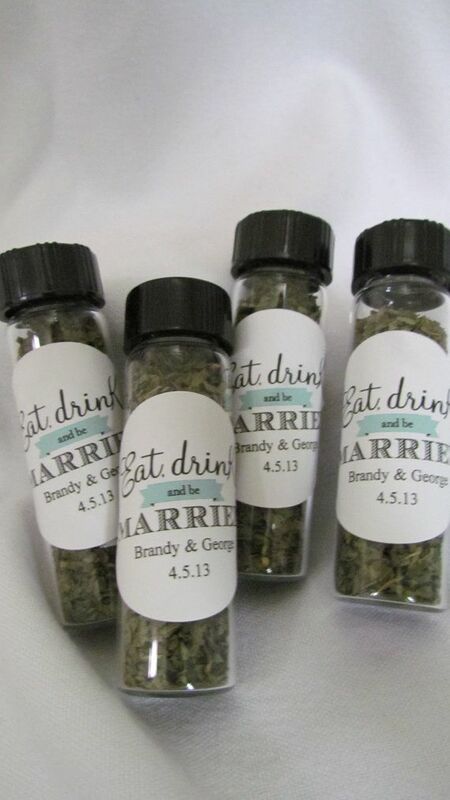 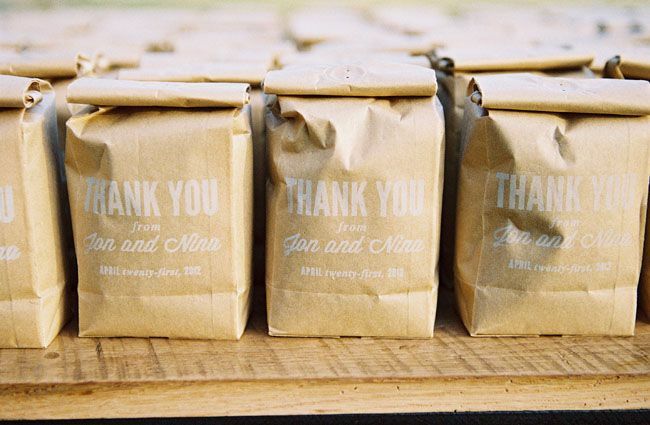 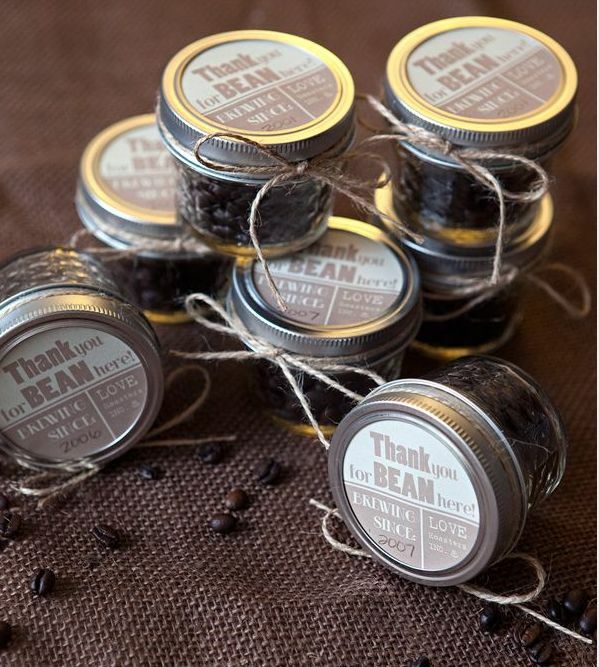 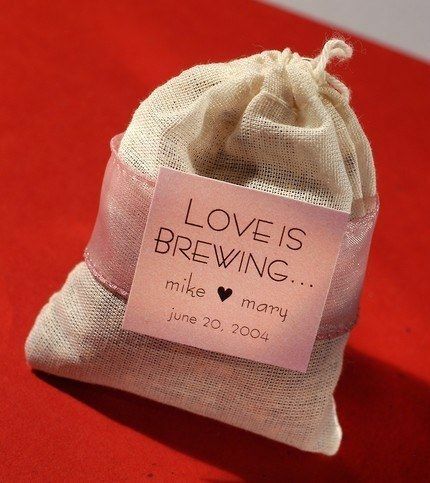 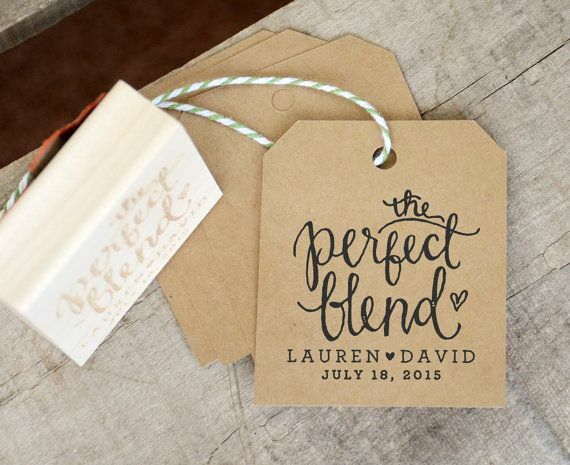 You may even go to the effort of creating a different blend just for your wedding. 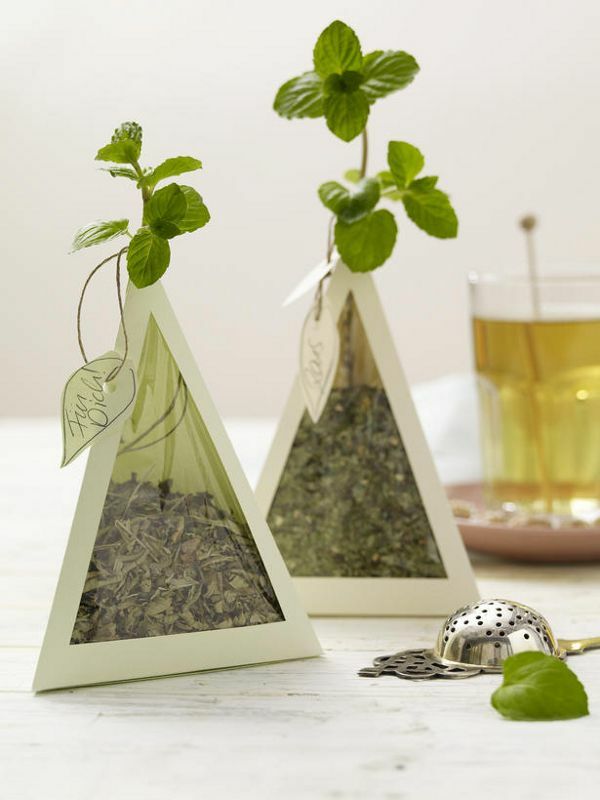 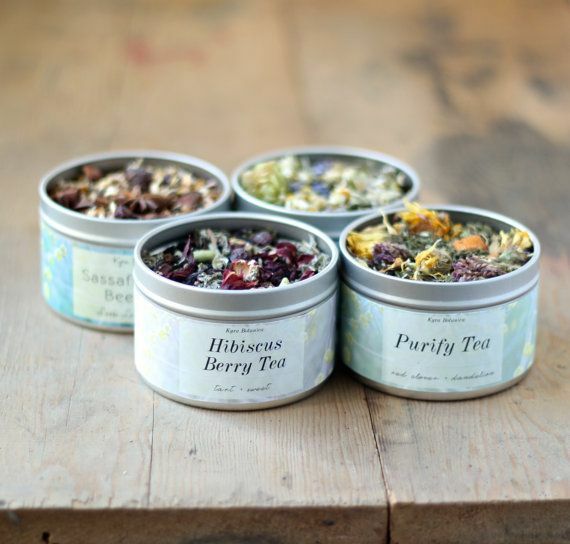 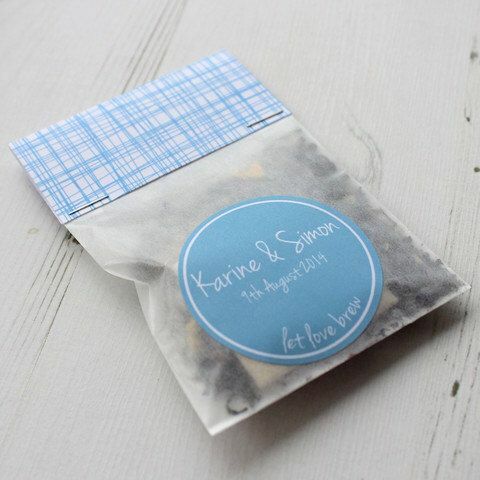 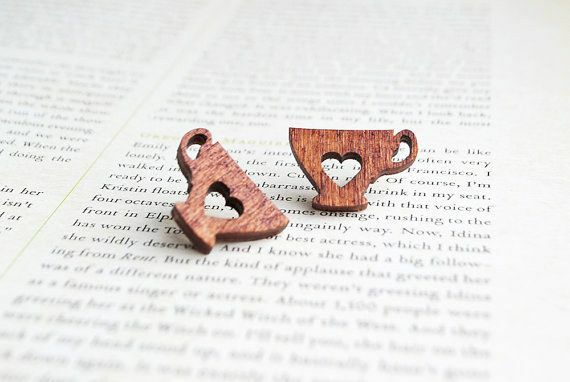 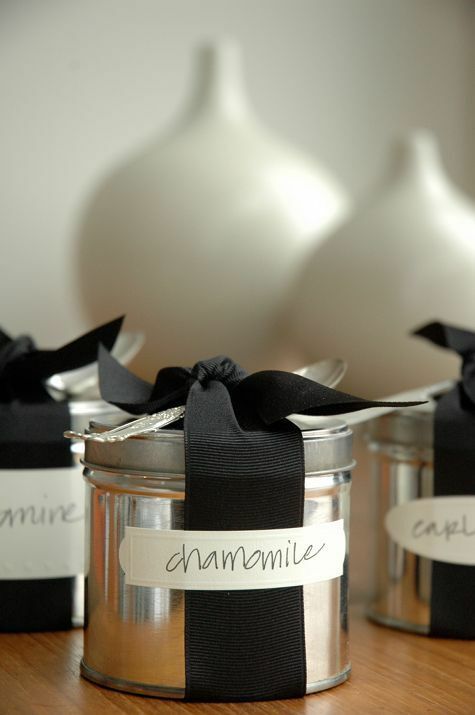 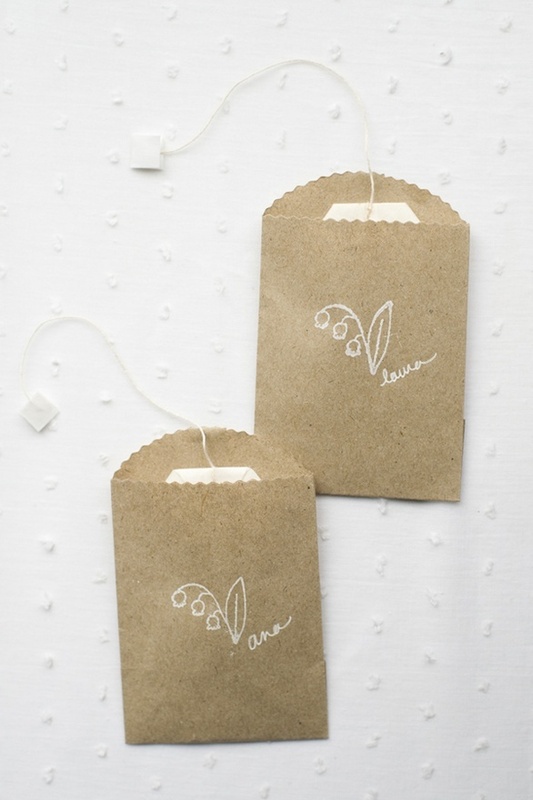 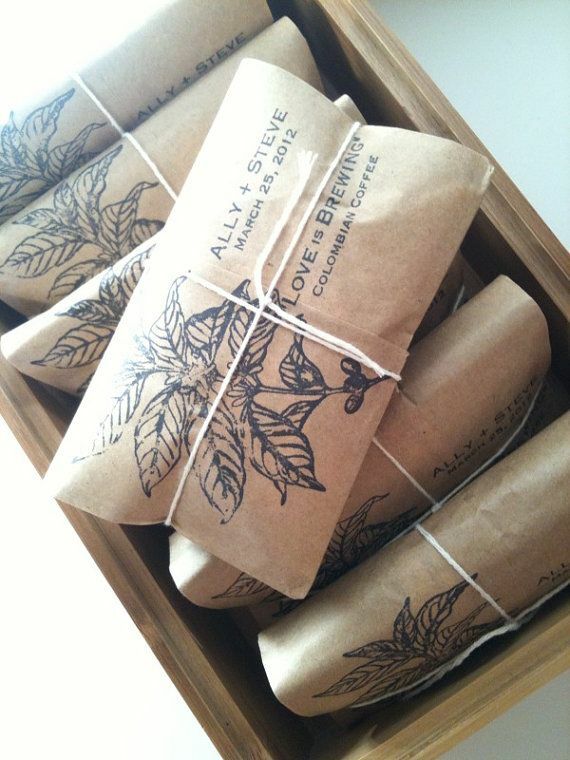 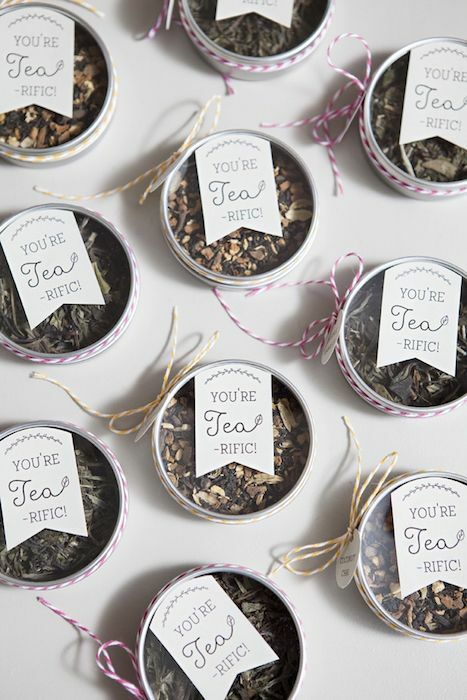 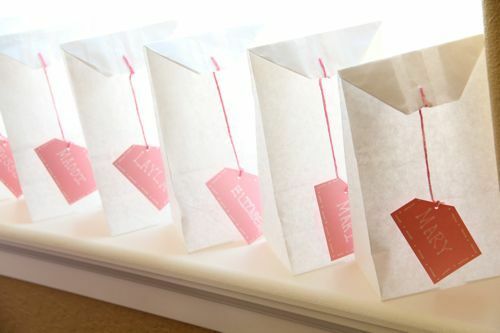 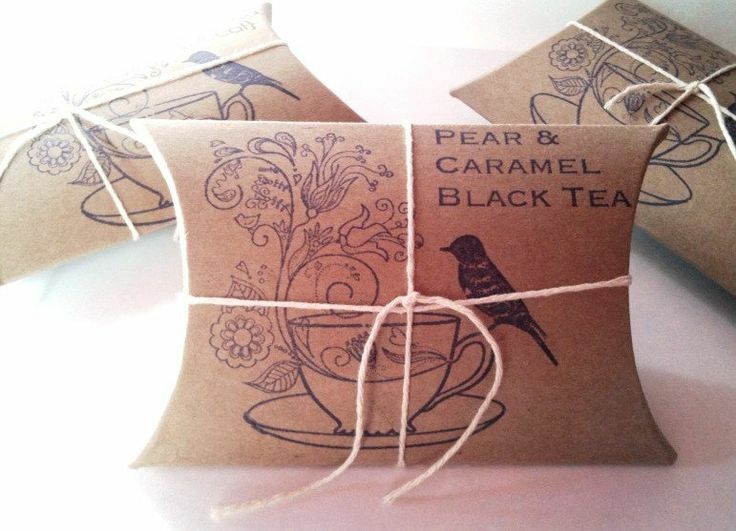 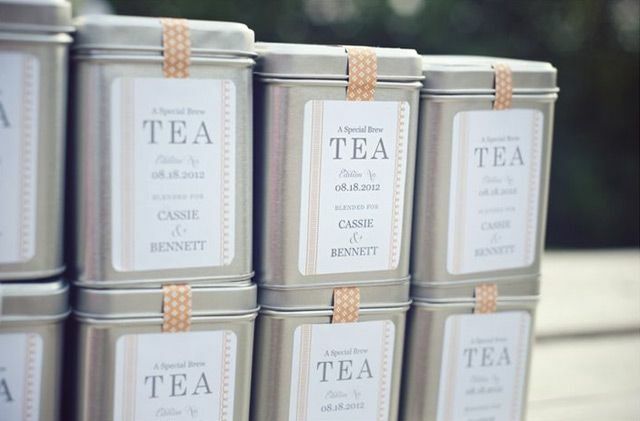 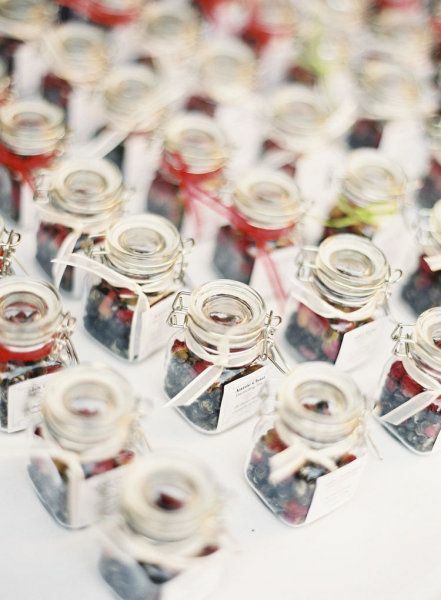 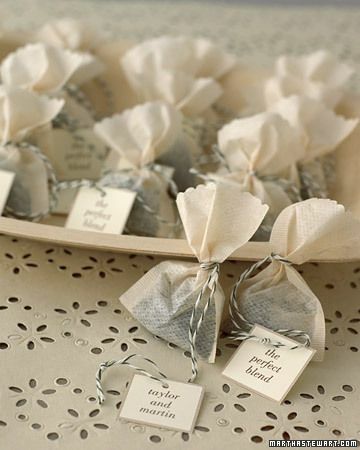 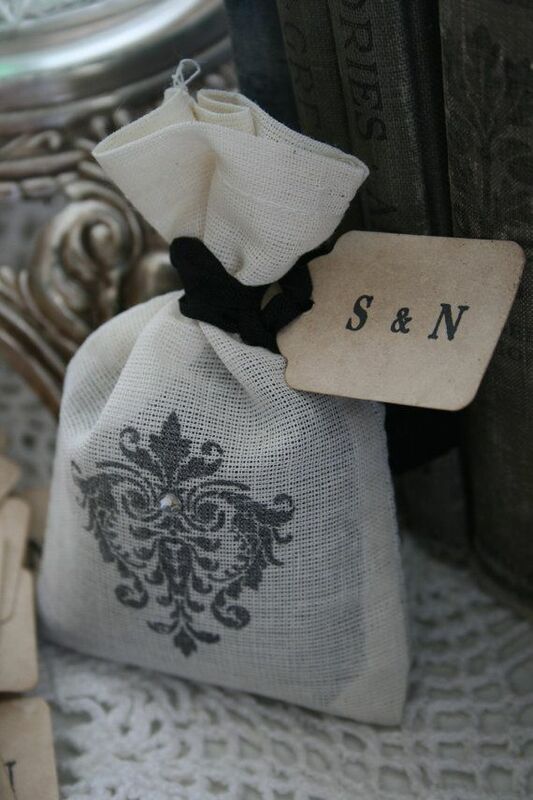 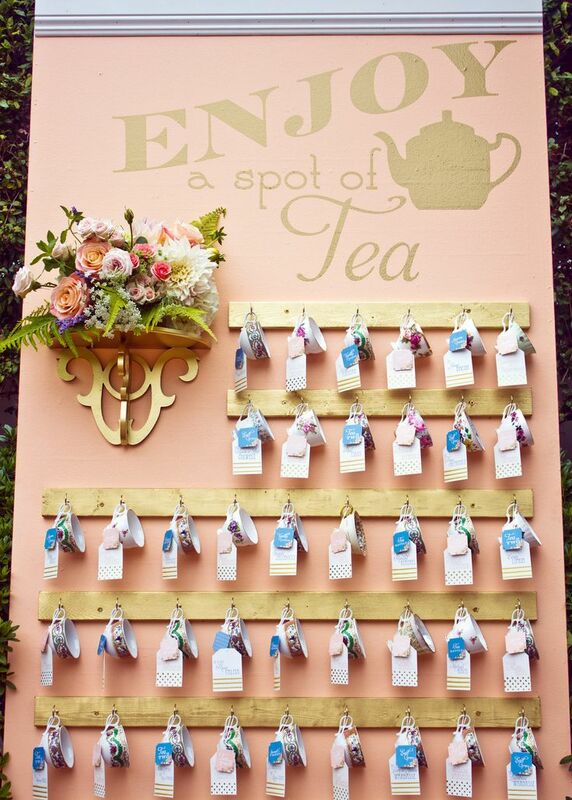 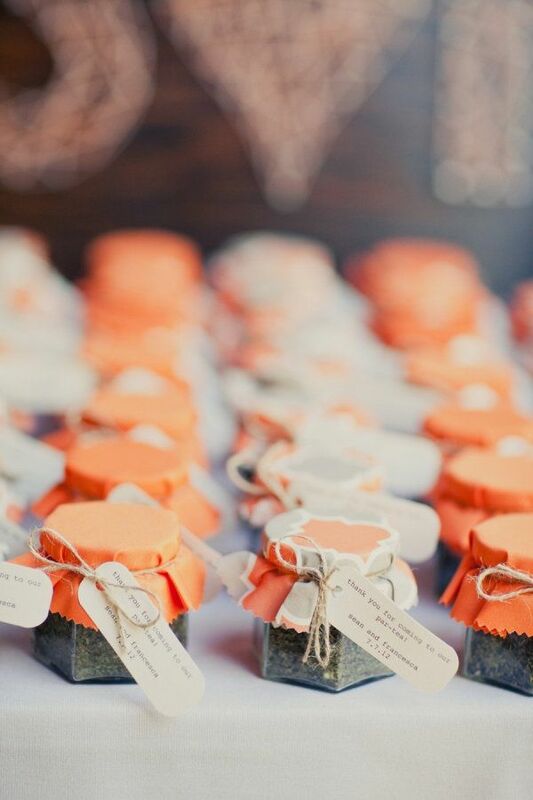 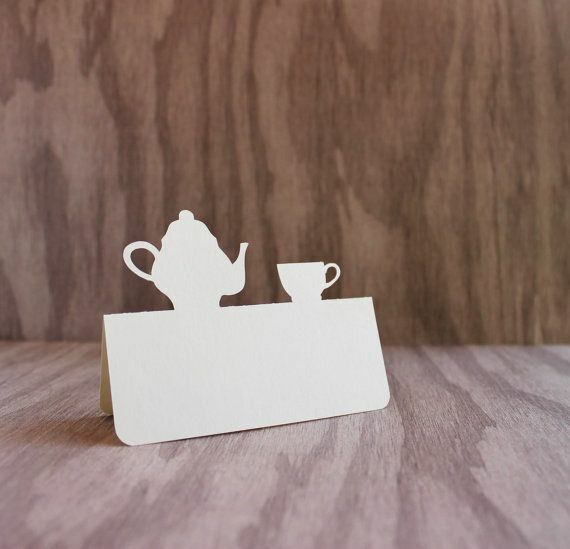 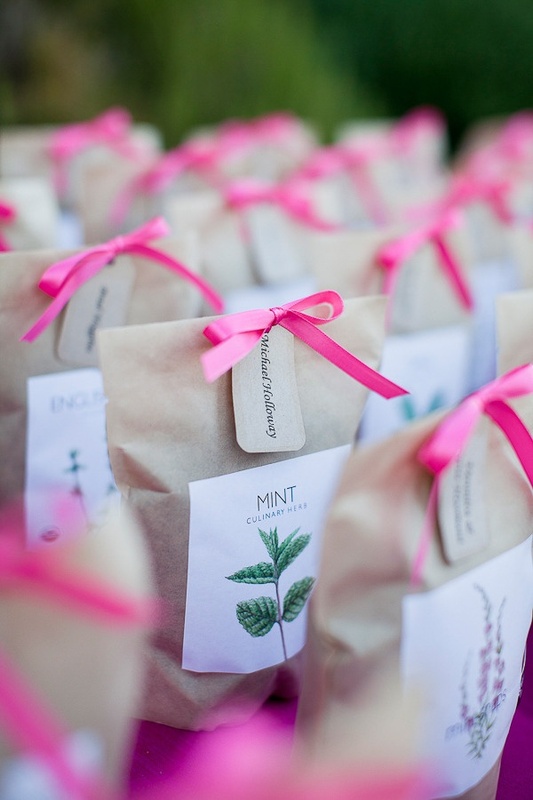 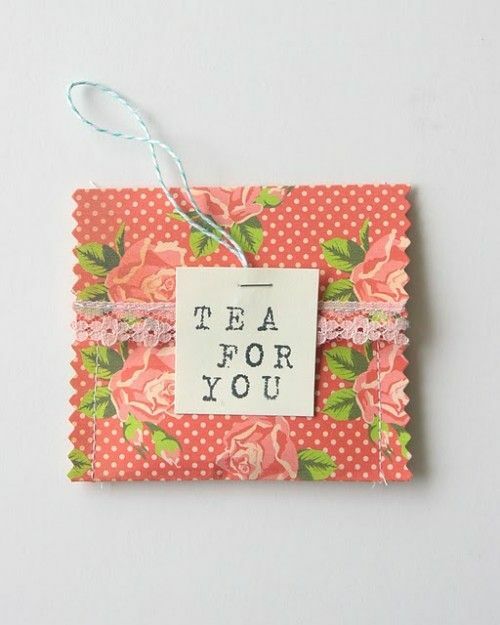 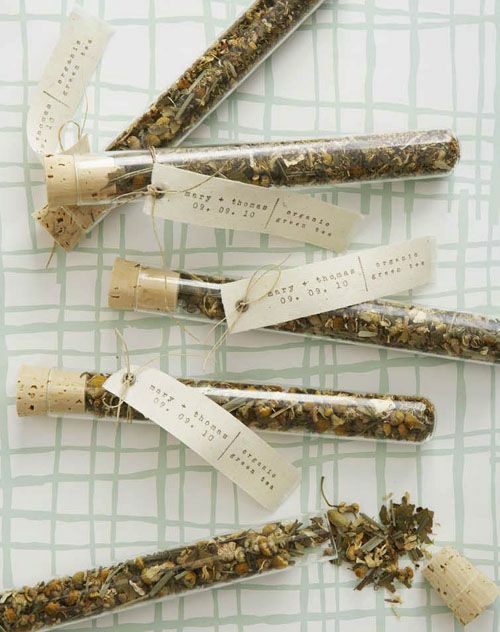 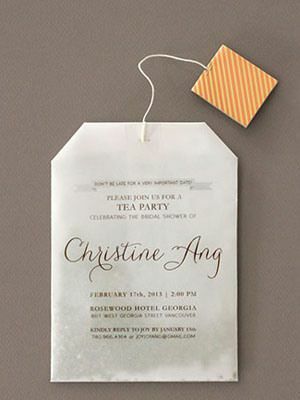 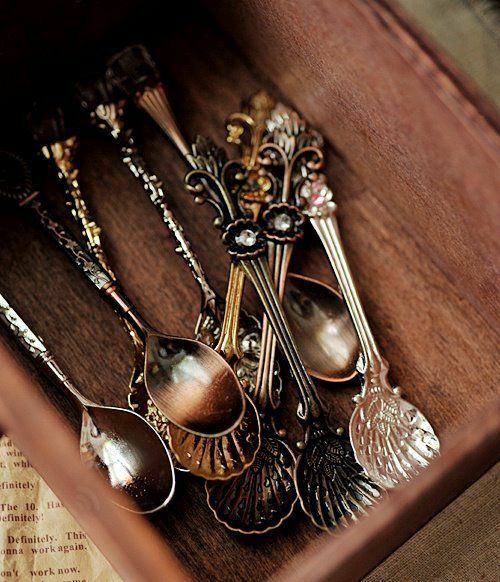 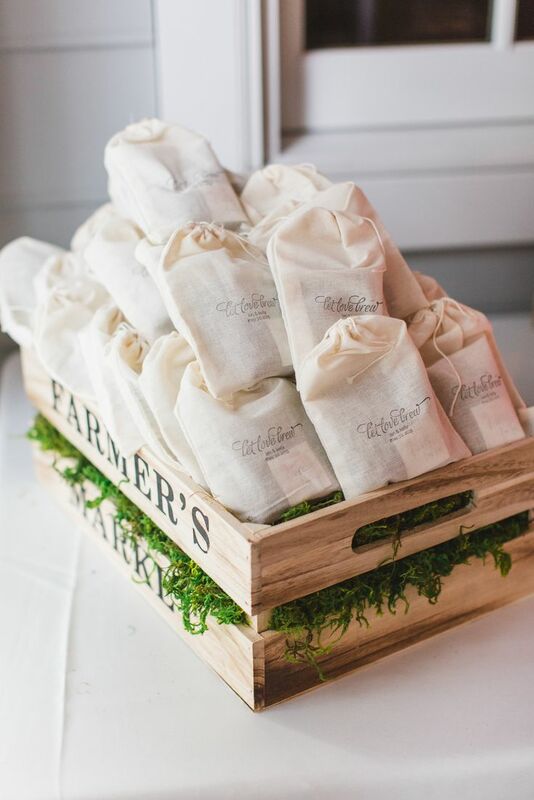 There are also are so many wonderful ways to package and present your wedding tea. 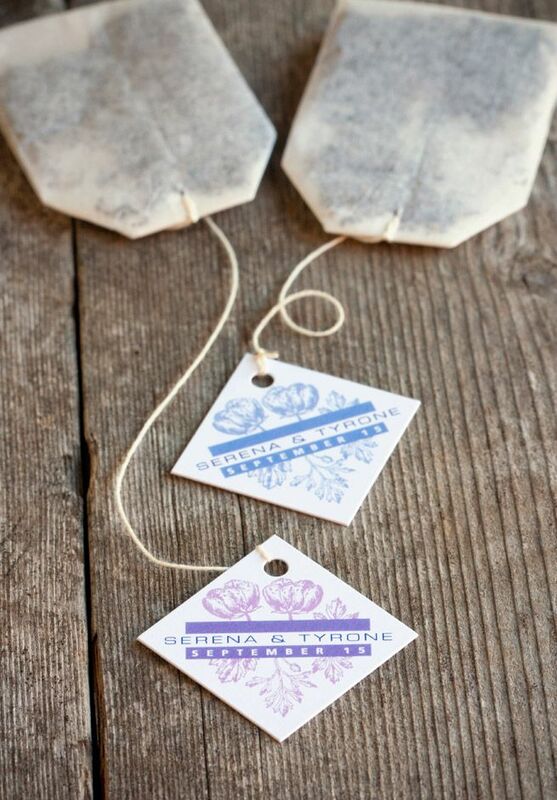 Either make the gifts yourself or look online, such as A. MacDougall & Company or The Wedding Duchess for the many tea providers to lend you a hand. 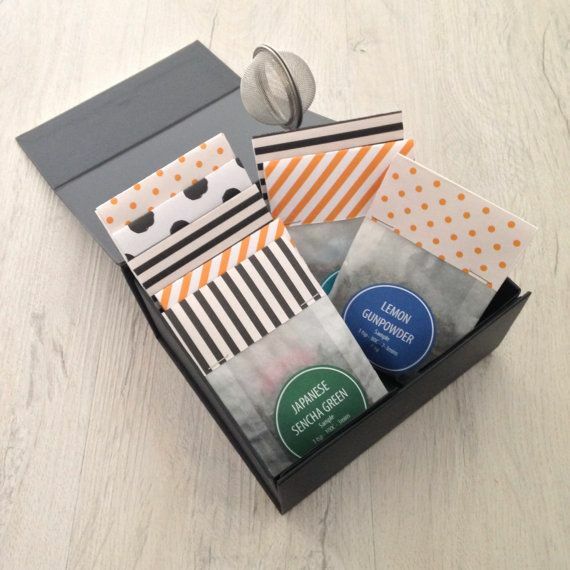 Check out what inspired us! 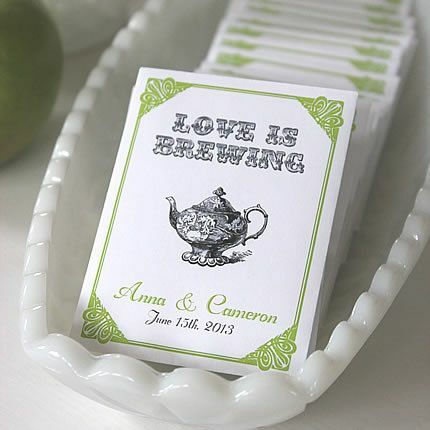 Images: barebonephoto; brides.com; buzzfeed; domestically speaking; etsy; goinghometoroost.com; green wedding shoes; hgtv.co; itakeyou.co.uk; intimate weddings; market bulletin; martha stewart weddings; mocherie bridals; my own labels; my view from somewhere; oh so beautiful paper; storenvy; storyboard wedding; story mix media; style me pretty; the knot; thehabitue.blogspot.ca; the sweetest occasion; women getting married; wunderweib; muchkinmunchies.com; showerofroses.blogspot.com; modwedding.com; or myownlabels.com.